I loved the first book in this series, and as I’ve got the third for review now I bought this one. Yep, paid real money. Between review books and my KU subscription and the kindle free books I still manage to find ones I want to buy! Fellow book addicts will understand. This picks up where the last book left off, with Andy still owing Master Vampire Lucien a debt. It means she’s at his beck and call, and gets thrown into danger again and again.Between him and her job with the SRD its a good job she has shifter healing…. Its interesting that Andy is something special, a Carus, though they are so rare it seems no-one can really tell her much about what she is. She has three animals though instead of the usual one, her raven, the wolf who has determined Wick is her mate and a mountain lion. 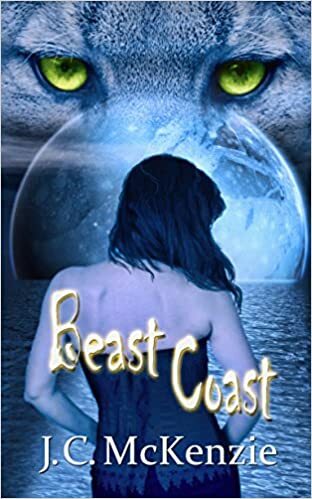 She’s in agreement with her wolf about Wick but….he’s under the control of Lucien, as the vampire has control over wolves, so Wick has to do as he’s ordered, and if that’s harm Andy….well, he has no choice. There’s more in store for her too, in her quest for Lucien, her job with the SRD and the dangers she faces. Lucien does what she’s been dreading and makes Wick hold her down so he can blood bond her…fleeing Wick in horror and upset she meets another dangerously delicious shifter, Tristan and of course her lion puts in her claim. She’s torn between them both and I am too. I so, so like Wick, he’s been so patient and of course he can’t help having to do what Lucien commands but then I can see Andy’s fear over that. Its another story of murder and mayhem, demons and disasters, and each mystery that gets solved seems to open up a channel for more to come. Its a fun read too, working out who or what is behind the murders and why, and there’s some sensuality and twist with the two possible mates. What an awful choice to have to make. There are more great characters introduced and we learn a bit more about Clint, the man we met right at the start of book one, who proved to be Lucien’s human servant. He’s a fun character, along with Andy’s new neighbours. I really enjoyed this episode, an easy read and one that I want to do a back to back of when all books are out.